Over the past year, a lot of gain has been made in the African tech space. In fact, all the predictions that were cited last year have been right on the money. Many analysts have predicted great internet growth over the next two or three years, but I am guessing it will happen faster than we thought. And with Facebook becoming aggressive in offering the internet to the unreached through Internet.org in Africa, more people than ever will move online. The government’s involvement in technology in various countries is also an encouraging move. Kenya has been proactive over 2014 to ensure that it digitizes its processes and brings convenient service to the people. With this hindsight, here are my predictions for what 2015 holds in the digital sphere in Africa. There is a quiet smartphone war going on across the continent. The dominance of Samsung as one of the only high end smartphones in Africa is gradually coming down with the increase of off market brands in Africa such as Tecno from China, Wiko from France and Infinix from Hong Kong. Huawei has also made inroads into the continent. It recently reported that it has shipped three million smartphone handsets in East and Southern Africa this year. According to the company, this makes it the second smartphone provider in Africa. The massive price points for an entry level smartphone will continue to drop in the next year and probably this will probably be the greatest differentiator. Nigeria, the most populous country in Africa, is also seeing cheap mobile smartphones being introduced in the market. In an article in the Business Daily online site in Nigeria, more Nigerians are opting for the Tecno brand due to its low priced smartphones. “Studies indicate that most people now access the internet through their mobile phones as opposed to Personal Computers (PCs). We will be launching more internet series mobile phones to serve the growing demand of our customers,” Arif Chowdhury, vice president, Tecno Group said during the launch of Phantom A3 smartphone in Lagos recently. He said the company will focus on affordable devices for the masses. Danson Njue, a telecoms analyst from Ovum Research agrees with the outlook. “As international smartphone manufacturers continue to set up shops in Africa, the prices of these devices can only come down,” he tells IDG Connect. Currently a good entry smartphone will retail at an average of Kshs 7,000 ($80) from these brands, something that you would not get the previous years. The competition will ensure that smartphones will become as cheap as US$50 as the companies strive to get a market share. Companies such as Jumia, Cheki and OLX have spread their tentacles across the continent, getting users on their platforms. The great advertising campaigns that these companies have conducted over traditional media, has educated the public on online transactions and this is going to boost online transactions. In the last year we have seen many shopping sites launching all over the continent including Kaymu and Kilimall. Lindsay Britz, the marketing manager of Magic Software SA, a provider of software solutions for system integration and mobility sees growth of the current platforms as they engage other technologies to help in eCommerce. According to the recent Communication Authority of Kenya (CA) quarterly report for the fourth quarter (April to June), parcel deliveries increased by a staggering 96% to 937,619 items from 477,526 items the previous quarter and the growth has been attributed to the increase in e-commerce in and around the country. Even with the positive statistics, there are a lot of glaring issues that ecommerce sites need to take into account. Britz suggests that the security measures need to be taken seriously to bolster buyer confidence. She also supports the introduction of management systems that will make the process easier and faster. Greater online internet access means greater online risks. The uniqueness in Africa is that most people use their smartphones to access sensitive documents and accounts without the realization of the threats these devices pose. Safaricom and Kenya Commercial Bank have already fired a number of employees for being involved in dishonest transactions including digital fraud. According to research [PDF] by Deloitte, most bank cases include plastic money scams and electronic funds transfer fraud. But apart from the corporate hacking and fraud, more cases of individuals being hacked and stolen from will arise. “As broadband becomes more readily available to the Kenyan market, more consumers and businesses are embracing the digital world - often making them an ideal target for cybercriminals. The same can be said throughout many African countries, where broadband development is currently happening at a fast pace,” Bethwel Opil, Channel Sales Manager for East Africa at Kaspersky Lab said in an earlier interview. “In our experience the biggest problem is that users often adopt the attitude of ‘it will never happen to me’ and become negligent with their mobile phone,” he added. With mobile banking becoming the norm in countries like Kenya, effective precautions need to be implemented to protect users from easily losing their money to fraudsters. 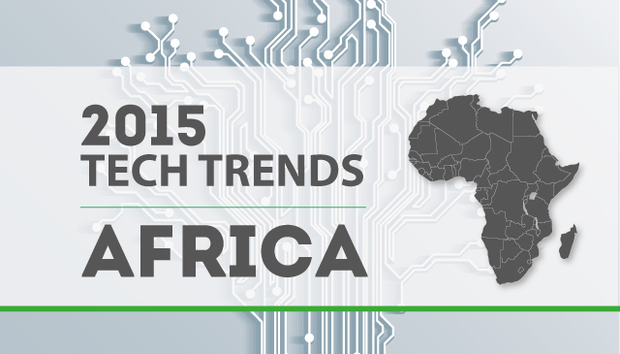 More players are joining the tech space in a potential new frontier in Africa. Liquid Telecom for instance has began putting up a US$34 million network in Rwanda and plans to bring fibre to the home (FTTH) network in Kenya and Uganda, starting early next year. Overall the great internet penetration will open up many other industries and sectors, but players need to be aware of the opportunities and dangers. There are many other trends that will light up 2015 such as more government services online, the digitization of transport across the continent, and structured online news and blogs. But it is smartphones, eCommerce and fraud that will truly define Africa’s digital exploits of next year.